Casey Feicht began teaching yoga since 1998. As a personal trainer for 20 years and a lifestyle design coach, she is passionate about kids, parents, and families being active and healthy together while finding harmony and balance in Mind, Body, and Spirit. She began teaching at health clubs and owned my own home studio. Casey catered mostly to beginner yogis, offering training, coaching, and nutrition as a complete package. In 2007, she was blessed to be able to attend the month long intensive Jivamukti Yoga Teacher Training in New York with co-founders Sharon Gannon and David Life. 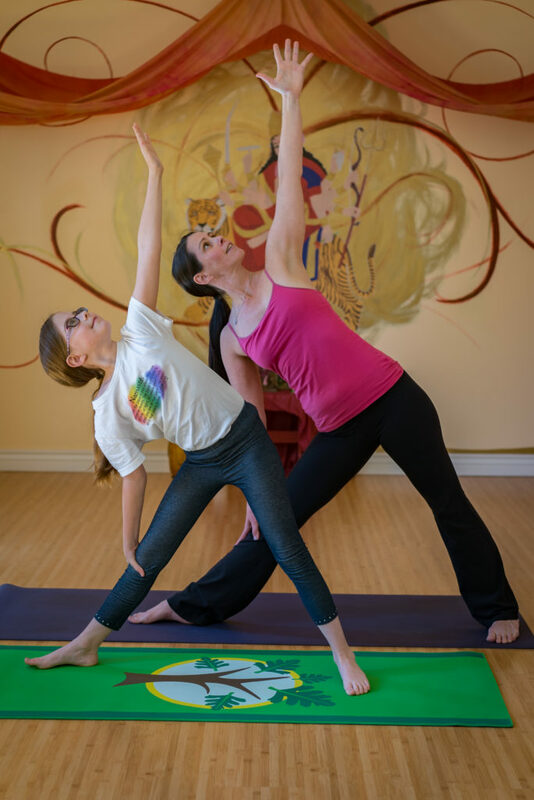 Casey’s children’s yoga quest began in 2005 during her pregnancy with her daughter Grace. She attended Shakta Kaur Khalsa’s Radiant Child Yoga Program. Even though Casey was a Vinyasa teacher and she is a Kundalini teacher the message is the same: kids need to move and love yoga! Casey loves her music and learned a great deal her training. In 2008 in the midst of a divorce, Casey learned from Christine McArdle-Oquendo. Her “Om Shree Om” Children’s teacher training inspired her to take her kids teaching to the next level. As an Anusara teacher, Christine showed Casey the great depths to which yoga can transform kids to be “Full of Grace”. Casey found that she needed to share kids yoga with more people. Initially, she was in need of more subs for her classes. In 2010, she began leading Kids Yoga Teacher Trainings and had the desire to bring more classes to the Denver community and schools. Casey created the website KidsYogaGuide.com which has tons of free resources, reviews, products and education for parents and teachers. The website continues to share her passion and allows her to be more available for her daughter. Casey who has been coaching thousands around fitness, yoga, and business became an International Coach in 2011. She is blessed to share worldwide. She created one of the first online Kids Yoga Teacher Training, servicing teachers in Asia, Australia, Europe, throughout the US, and Canada.